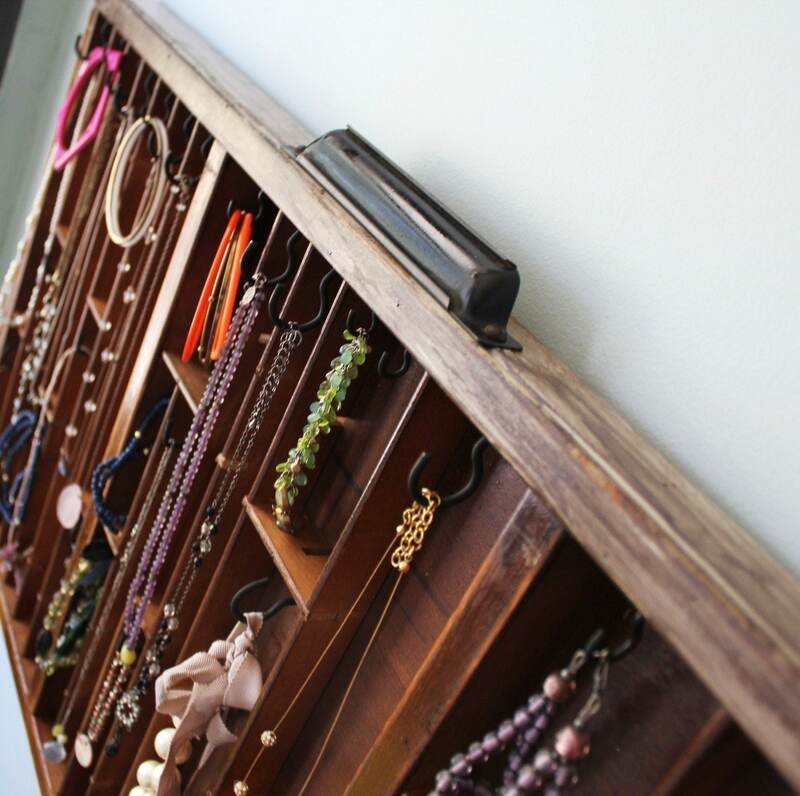 Antique Printer Drawer reinvented to hold all of your necklaces and bracelets and more! 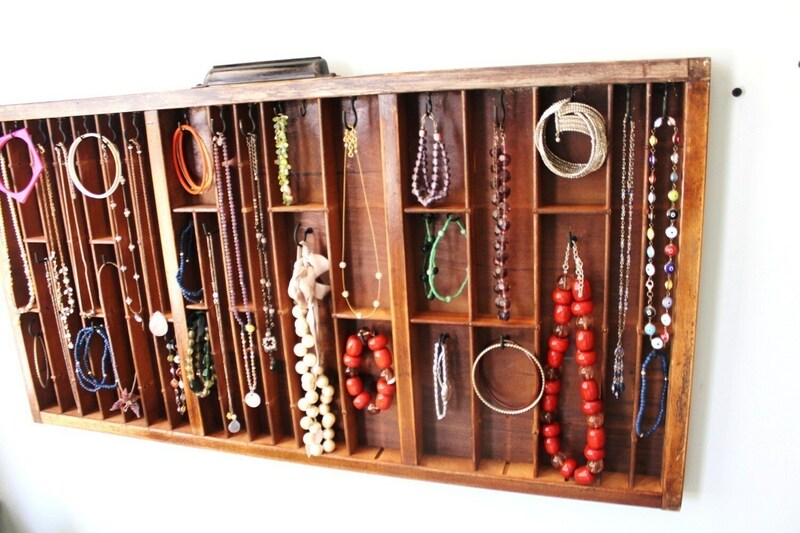 This listing is a MEDIUM NATURAL WOOD TONE drawer. 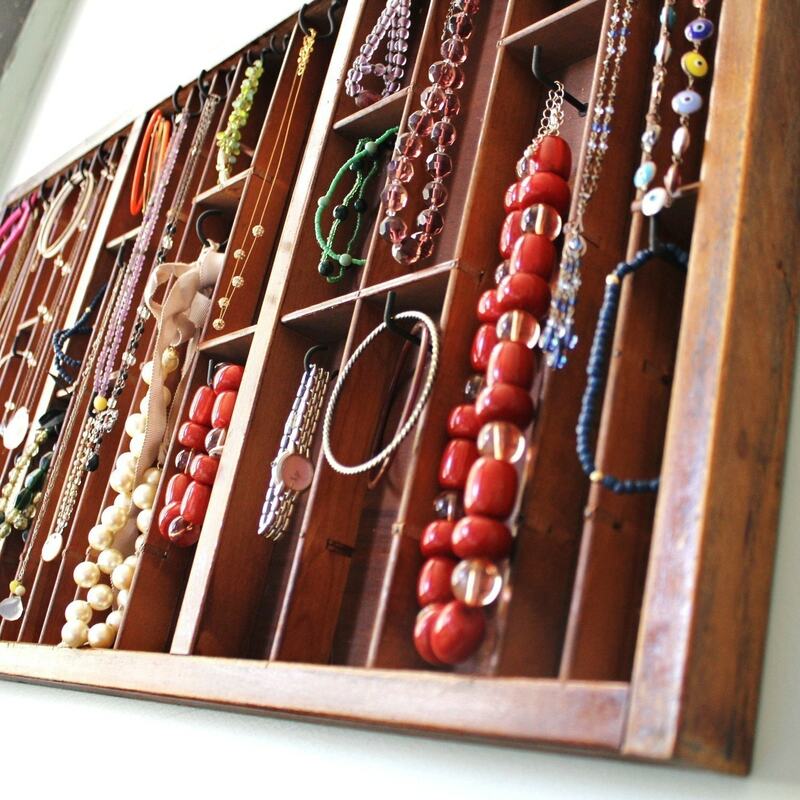 This creation is meant to organize your jewelry into a work of art. 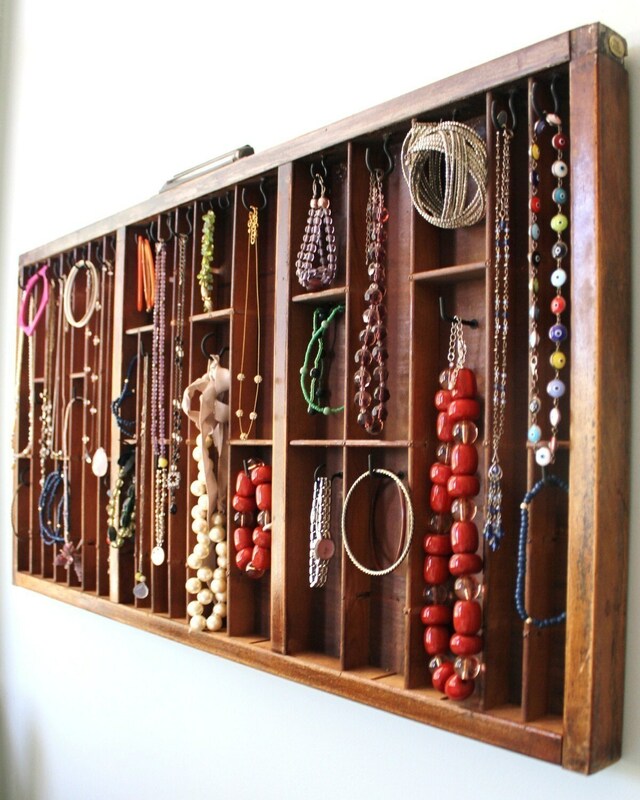 It fits most any necklace or bracelet with three different hook types and a wide variety of box shapes and sizes. This listing is for a necklace and bracelet display only... earrings can be added if you request. Takes approx. 2-3 weeks for completion...can do fast requests depending on backlog. 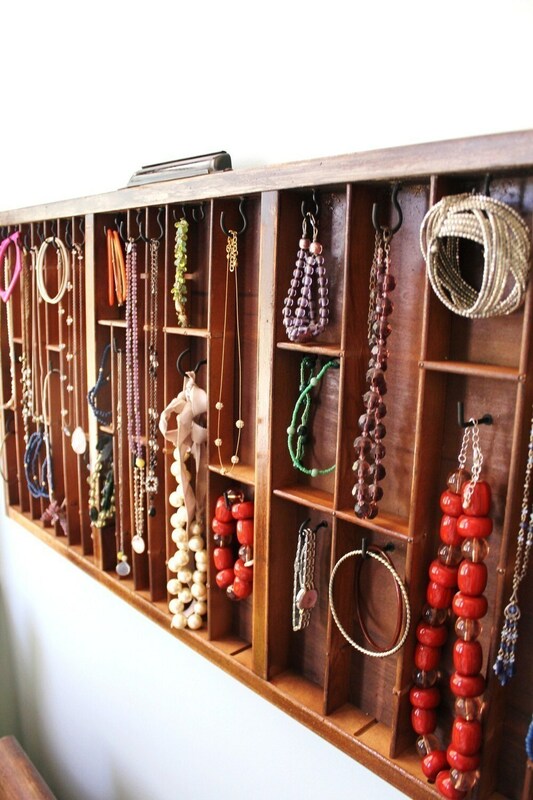 Just make sure that when you purchase you include your preferences in the note to seller so that I can make sure I customize your drawer the way you want it!